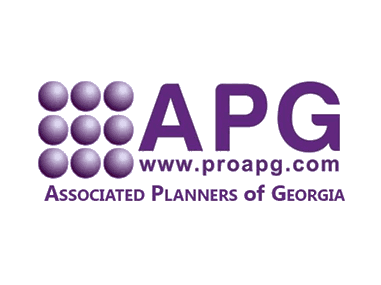 The Associated Planners of Georgia (APG) is a full service Association / Event Management company. We offer a wide variety of services specifically designed for each client. Our goal is to provide our clients with the professional support needed to organize and operate the association as a business, focusing on the details as well as the bottom line of each group. Our mission is to keep the leadership from being burdened with administrative functions. Our services allow the leadership and volunteers to focus their valuable time and energy on the association’s overall vision, mission, planning and strategy.